Chronicles Of A Growing Christian: Hey, Wait For Me !!! Hey, Wait For Me !!! Ok, so I am the scapegoat of today. A little background on today's lesson. I normally meet the office bus to work at a particular stop. For each stop, it has a specific time it gets there and picks people. I left the house early enough to get to my stop, walked to the junction and waited for a car, but once I entered public transport, I knew I was going to be late. I entered an empty bus from my junction. So the bus waited at every bus stop to pick up people. 5 mins to the office bus getting to our pick-up spot, I was about 8 or 10 mins away. (Shaking my head right now at the thought.) Well, I promptly called a colleague and informed her to let me know when the bus arrives. Sadly for me, the bus arrived even earlier today about 2 minutes after my call. 😕 I inform the lady I am on my way and see if she can get the bus to wait. All this while I was praying in my head. One, for the public bus driver, to drive faster, as it suddenly seemed he was driving like a snail. Secondly for God to touch the heart of the office bus drivers to wait. I kept stretching my neck in the bus as if that could make the bus go faster, but that's beside the case. As you all already imagined in your heads, when I got to the stop, the office bus had gone. I quickly called someone on the bus to find out where their current location was, got the information and hung up. Come and see my Jackie Chan skills🙏. 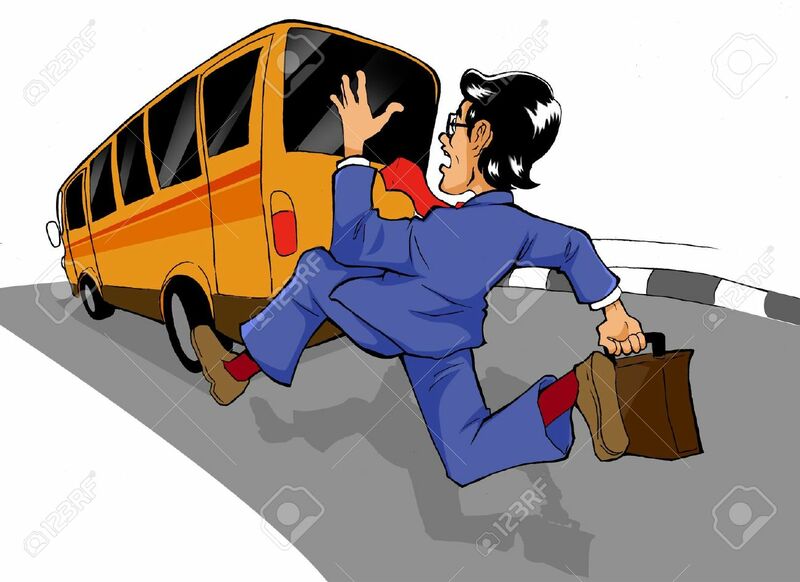 I jump into the first taxi I see and inform him, "we are chasing the bus". He, of course, had to remind me he saw the bus and the bus waited a long time (Yeah yeah I know already). Me: Hmmm, well hello again Holy Spirit, what is this about? It took me a while to understand the fullness of the lesson the Holy Spirit had for me on this one, as I had to back-track and study the whole of James 2. If we backtrack here a bit, you'll see the part I said, "I prayed in my head." My taking a step to pray was faith. I had faith my prayer could cause some effect. Secondly, when I got to the stop, I got the information required and picked a cab to chase the bus. That was me acting on my faith. If I didn't believe the bus driver could wait, I probably would have sat down and whined at God for letting the bus leave. Therein lies our problems as Christians. We claim to have faith but are not ready to put in the work required for faith to be substantial. The ending of verse 17 struck me the most, Isn’t it obvious that God-talk without God-acts is outrageous nonsense? Means one thing, God expects us to act alongside our faith. Don't just sit and say I have prayed, the angels will do the exam for me. Show me your faith with works. Faith is believing you will pass an exam, work is studying. Faith is believing, as you read, you understand, as you understand, you remember, as you write, you pass. Abraham's faith was accounted to him as righteousness by virtue of the fact that he took the step of being willing to sacrifice Issac. Daughter, I hear you loud and clear. I need to move and not wait on the sidelines waiting for God to act. We are the ones to act to spur God's Promises into action.